I wanted to share a little blogging change that I plan to implement when I return to my normal blogging schedule in January. Instead of reviewing picture books on Thursdays, I have decided to join with some wonderful bloggers and participate in Perfect Picture Book Friday (PPBF). Susanna Leonard Hill began PPBF in the spirit of Marvelous Middle Grade Monday. I'll be adding a little more info about the picture books I review, but beyond that the only change will be in the day I post. 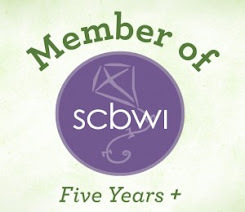 AND that I get to put this very cute badge on my blog! It was designed by Loni Edwards. I hope you will enjoy this new feature!